The International Energy Agency chose the second day of the Warsaw Climate Change Conference this past November to put out its much-anticipated World Energy Outlook report. Among other things, it offers a snapshot of how well the global energy community is addressing the threat of climate change. The prognosis wasn’t good. “If we stay on the current path, we will not come close to the internationally agreed goal of limiting the rise in global temperatures to 2 degrees C,” said Maria van der Hoeven, the agency’s executive director. Indeed, even taking into account all government measures announced to date, carbon dioxide emissions are still likely to rise by 20 per cent by 2035, according to the report, leaving the world on course to an average warming of 3.6 degrees C.
Australia followed a day later by rubbing salt in that international wound. Making good on his vow if elected to kill Australia’s one-year-old carbon tax, Tony Abbott, the country’s new prime minister, wasted little time when on November 13 he introduced a bill to repeal the tax. It wasn’t Australia’s first climate casualty. 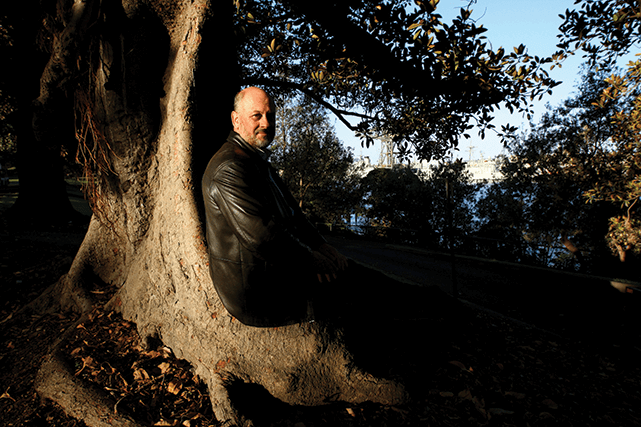 On September 19, within 24 hours of being sworn in as prime minister, Abbott pulled the plug on the country’s Climate Commission, which had been led by Australian scientist and international climate activist Tim Flannery. It was a disappointing, if not unexpected, outcome. But Flannery, who was named Australian of the Year in 2007, has not missed a beat in his march to educate about climate issues and advocate for change. CK: Prime Minister Tony Abbott was quick to disband the Australian Climate Commission after being elected. Can you offer some context to his decision? FLANNERY: That commission had been set up in February 2011 because the Australian government felt the Australian people deserved access to the best scientific knowledge about climate change, about what’s happening internationally in terms of climate change, and what the economists are telling us in terms of best options for countries like Australia. There were six commissioners, including one guy who was the ex-CEO of BP Australasia, another, an engineer working in the steel sector, a couple of climate scientists, and myself. The new hard-right government was elected in September (2013), headed by someone who is quite skeptical about climate change and whose main platform was dismantling the key climate change initiatives the previous government had put in place. Their first act in government was to disband us and take down our website, where we had 27 reports with lots of information being used widely by Australians. CK: That must have been a disturbing turn of events for you and your fellow commissioners. FLANNERY: As a group we weren’t happy with that outcome. The Australian people deserved an absolutely objective apolitical source of information on climate change, so we thought we would set up a new organization – a not-for-profit organization – and see if we could raise some money through crowdfunding. We set up this thing called the Australian Climate Council. Five days after we were sacked as commissioners we went live with that. The result was really amazing. We got this massive flow of goodwill and money. Within those five days we raised $1 million. We’re the largest crowdfunding venture in the history of the country. It was a real vote of confidence in what we were doing. It really took off. CK: Technology, it could be argued, has made us better stewards of the planet by giving us more watchful eyes and allowing for rapid local, regional and global response through social media and crowdsourcing. It reminds me of your book, Here on Earth, which draws on Gaia theory but also talks about humanity evolving into a superorganism. Do you see technology as an enabler of the human superorganism? FLANNERY: Yes, I do, and I think what it is doing is really empowering people and diminishing to some extent the power of government and industry. One of the big themes I’m seeing emerge out of this is not just seeing people form into groups and making sure we do what we need to do, but in terms of changing the actual energy mix. There are some huge things at the moment afoot that are going to be very important in terms of empowering people with their own energy systems. CK: On the flipside of that is nuclear power. Your views of nuclear power have evolved over the years. Recently, more climate scientists have spoken out about the need for nuclear despite the many concerns it raises. What is your view today on this energy source? FLANNERY: You’re better off in my view to go with nuclear over coal. That’s the right way to go, but what has absolutely changed in recent years is that the role of renewables has become so much larger, so much cheaper. There’s real active debate now in Australia on whether renewables could run the entire grid. I think that potential is there. So the need for nuclear in my view, particularly in OECD countries, is diminishing by the month as these changes kick in. We’re seeing Germany now revamping its energy mix without nuclear, and eventually fossil fuels will be knocked out. When I say eventually, that may happen in the next decade. CK: The worry is that places like Germany and Japan are, at least in the short term, going to be burning more fossil fuels to make that transition happen. FLANNERY: What they’ve done is they didn’t abide by the formula I just suggested, which is to prefer nuclear over coal if you still have an energy deficit. They’ve preferred coal over nuclear. But in the medium term, there is no doubt renewables are going to win out because they are a zero-cost fuel. CK: It’s unbelievable for many to think that renewables can do it all in fast-growing countries like China and India. What is your view on that? FLANNERY: It’s probably the case in those big countries with massive populations, particularly in China with its huge manufacturing sector, that there still may be a role for nuclear. And they’re certainly pursuing that. But we’re in a period of rapid transition and what is true today might not be true in five or 10 years’ time. So at the moment I would say provisionally, yes, there probably is a role for nuclear in China or India, but watch this space. CK: That appears to be the main question for many countries: Do we lock in for 50 years or more with new nuclear, or wait 10 years to see how things turn out on the renewables front? FLANNERY: That’s right. The competition is solar, where the cost of production has dropped 80 per cent in the last four years, and wind, which has not dropped as precipitously, but the projections are that in the next five years the production costs will halve. So, if you’re thinking about a 50-year payback and you’re thinking about that kind of fast-moving competition, you’re in real trouble. Those big nuclear projects just won’t get funded without government help. CK: Are you concerned about the role that natural gas is increasingly playing? That the “bridge to renewables” is getting longer and longer? FLANNERY: There has been an argument that gas will be a stepping stone to an entirely clean energy future. That may well be true, but what’s definitely uncertain is how long that stepping stone is going to last. The good thing about gas is these fracking wells only last two or three years, so it’s not a long-term commitment. The power plants themselves last 30 years, rather than 50 for coal and nuclear, so there’s the possibility of switching out of them sooner. But this is one of the great unknowables. Technology innovation in the gas area has caught everyone by surprise, and certainly it has created a niche for itself, currently at the expense of coal. But you’re quite right, we need to get away from all fossil fuels by 2050. Is gas going to be a significant stepping stone? At the moment who can tell? CK: There have been some impressive and quite aggressive moves by China with clean energy, largely driven by air pollution issues. Do you think their efforts are genuine? That they will be effective? FLANNERY: Absolutely. I’m just back after two months in China and its commitments have expanded just over the months. The latest widely publicized information in China was that air pollution in Northern China has cut average lifespans by five and a half years, so there are very serious health impacts there now. It’s not surprising the Chinese government has decided to reduce coal burning in its major population areas by 5 per cent in the next four years. And you’re seeing the impact of that on the Australian and global thermal coal market, where the price of coal has dropped from $94 a tonne to $82 a tonne. The impact of that on the industry has been huge. It’s just not worth getting the coal out of the ground. CK: But fossil fuel prices do generally have their ups and downs. Is what you’re talking about a permanent hit to the industry? FLANNERY: When I look at these fossil fuel futures, what I see is that 40 years ago the price of coal or oil could fluctuate quite a lot and it wouldn’t really affect the market. So it could be very cheap, but that didn’t matter because the cost of production is cheap. It could be very expensive and that didn’t matter because there was nothing competing with it at the top end in terms of cost. The band of tolerable price for these fossil fuels has now narrowed considerably. And what we’re seeing with coal is that it’s dropped out of the bottom of the tolerable bandwidth. You can’t dig coal up at $82 a tonne now and make a profit. For the higher priced mines it’s a real challenge. CK: You see this happening with the coal industry. What about oil? FLANNERY: With the tar sands you easily see the same sort of thing. The tar sands cost of production has got to be up to $60 a barrel. That’s okay while oil is selling at $90 a barrel, but if you look at the historic fluctuations in oil prices, going back to 1993 when it was $27 a barrel, everyone at that rate is out of business very quickly. It’s the same thing as with coal. The cost of production just keeps going up, up and up, and the competition from the top end – from biofuels to electric vehicles and everything else – is cutting off the top-end flexibility because alternatives are getting cheaper. So the fossil fuel industry is like an old man. Its arteries are hardened. It doesn’t have the flexibility to adapt when price shock comes through. CK: It doesn’t look good for the old man the way you describe it. FLANNERY: I think it is in serious trouble. This transition to a clean energy future is going to happen a lot faster, and is a lot closer than we imagined. What was thought to be impossible just a few short years ago is now seen as the common sense thing to do. Natural gas is the one thing that has broken that paradox – we don’t know what’s going to happen with gas. But for oil and for coal, you can see what the future is going to look like. 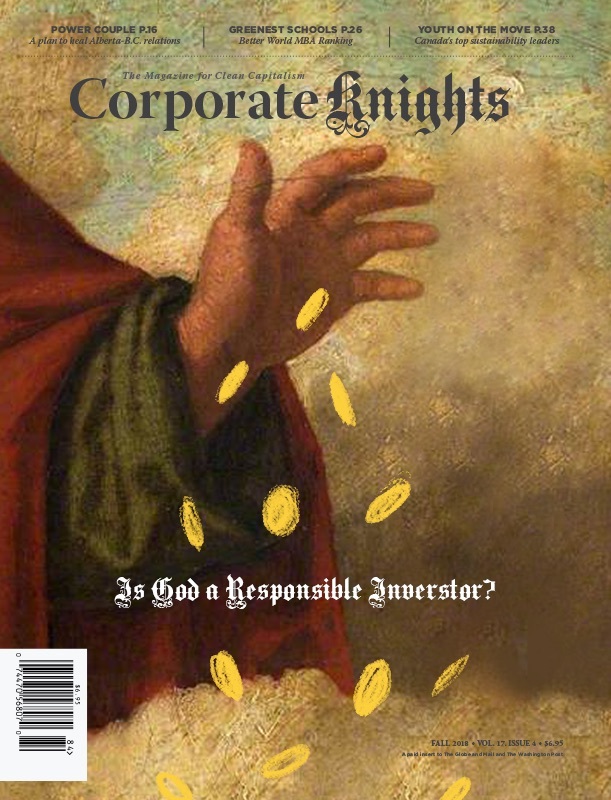 CK: There have been many reports about the “carbon bubble” – how fossil fuel companies are overestimating their burnable reserves and that this has artificially inflated their market value. Curious to get your thoughts on this. FLANNERY: It’s actually more like four-fifths of the reserves can’t be burned. What it means, and I’m pretty confident in this, is that the corporate giants of today are not going to be corporate giants for very much longer. CK: What do you think is accounting for this shift? Changing economics? Supportive policy? Concerns about climate change? FLANNERY: Surely the economics are important, but it’s not always the only thing. And yes, business is the engine – the powerhouse – that moves this forward, but the other conditions have to be right. What’s really happened is a social revolution, and we’re coming right to the pointy end of that. You can’t look at the energy sector and see that European utilities have lost half a trillion in value in four years and not call that an absolute revolution. The fact that China has cut its coal use, that’s revolutionary stuff when just five years ago people were saying impossible. When China made that announcement even 12 months ago, the Australian coal industry said they’d never do it. But we’re seeing it unfold right now. CK: Is this the human superorganism in action? FLANNERY: Yes, it is. It’s the superorganism in action. Exactly. The superorganism has embraced a new, cheap, clean renewable energy source and it’s moving towards it as fast as it can. CK: Your book on climate change, The Weather Makers, made a huge impact in 2006 and continues to be one of the most influential books on the subject. In the eight years that have passed, are you more or less positive about our ability to effectively tackle the climate problem? FLANNERY: I’m far more positive. Things have come together with the speed and in a way that I couldn’t have imagined when I wrote The Weather Makers. I outlined the problem in that book, I could see some of the technical solutions, but I couldn’t see how we would conquer the vested interests of the oil industry and others. At the time the dominating discussion was the second great petroleum war that we fought in 2001. We were still rebounding from the consequences of that when I wrote the book. I was doing the research for it in 2005 and we were in a world where petroleum politics were paramount. That’s no longer the case. Investment in clean energy now outweighs that going into fossil fuel infrastructure. It’s a different world. CK: Yet energy transitions, historically, have taken a long time. Do you think this time is different? Are we making a break from the past? FLANNERY: Absolutely. Energy transitions may have taken a long time in the past, but with this one, fossil fuels are facing a perfect storm. I think the energy transition is going to be quite swift. Just to give you a sense of that, if you look at global emission figures up to 2012, which have just been published, for the first time we’ve turned the rate of increase down at a time when economies are growing. And that’s prior to China really getting serious about this stuff. The chances of a peak in global emissions this decade is now very real. It’s incredible, and absolutely unanticipated.